There are several important reasons Auckland poet and academic, Dr Selina Tusitala Marsh is returning to Samoa on Sunday. Tusitala Marsh will be attending the Pacific Arts Association Conference which runs from 27 November to 01 December at the National University of Samoa. With the theme, “Making the Invisible Visible” Dr Marsh, who is an exciting performer, will be conducting a Literature and Spoken Word Workshop from 1.00-2.30pm on Thursday at the N.U.S. fale. For some of the prize-winning authors of the Samoa Observer’s national short story competition for primary and secondary students as well as adult authors who have entered the Samoa Observer Tusitala Short Story competition, this workshop presents an opportunity for them to continue to improve their literacy skills. And as the first Pasifika woman to be chosen as New Zealand's Poet Laureate for the next two years, she will be collecting materials to be carved into her tokotoko (to’oto’o). “After talking to each Laureate, he then carves a tokotoko to reflect their identity as the new Laureate. “During my trip to Samoa I want to collect materials for Jacob to carve into my own tokotoko. “It makes sense, as a tusitala, to mark both tusitala heritages in the tokotoko. “My grandad is Vaelei Tusitala, from Elise Foe so I will go to my grandad's house and bring something back (wood? stones?) for Jacob to honour the original Tusitala. 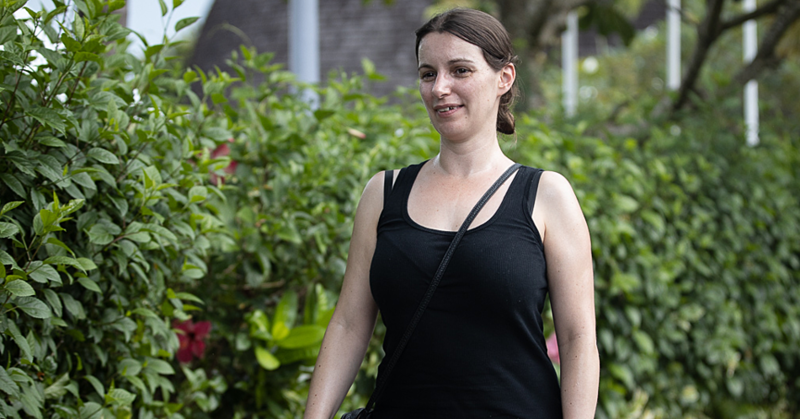 “I will also visit the other Tusitala's residence, the Robert Louis Stevenson Museum at Vailima, and see what presents itself for inclusion in the tokotoko. “I will be composing a poetry sequence to mark this experience,” she promised. Since the inaugural Samoa Observer Tusitala Short Story competition began in 2015, Tusitala Marsh has returned to Samoa each year as one of the judges of the Samoa Observer Tusitala Short Story competition. 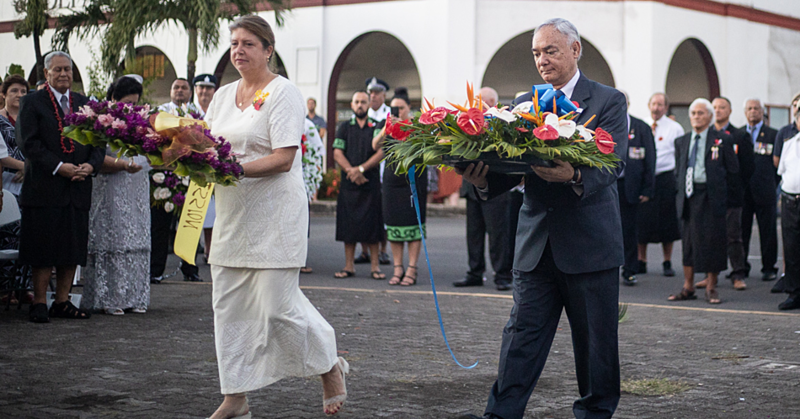 On her last trip in 2016, she thrilled guests at a prizegiving function at the Samoa Observer headquarters, when she performed her poem ‘Unity‘. The poem had been commissioned by the Commonwealth Secretary General and performed in Westminster Abbey by Tusitala Marsh for the Queen of England earlier that year. * To'oto'o is family heritage in the Samoan language. 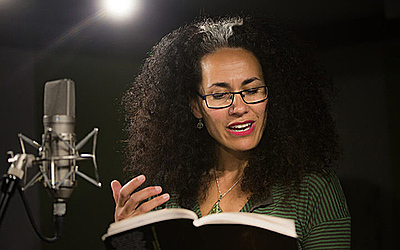 Selina Tusitala Marsh, of Samoan, Tuvaluan, Scottish and French descent, is an associate professor and lectures at the University of Auckland, specialising in Māori and Pacific Literary Studies and Creative Writing. She describes poetry as "the power of articulation. "It's the power to be able to embody language and connect with other people." The Waiheke Island-based poet published her first collection, Fast Talking PI, in 2009. In 2010 she won both the NZSA Jessie Mackay Best First Book Award for Poetry, and Best First Book at the New Zealand Book Awards. She is the author of two further poetry collections, Dark Sparring (2013) and Tightrope. Each laureate receives $80,000 over two years from the National Library of New Zealand Te Puna Mātauranga o Aotearoa to create new work and promote poetry throughout the country. Tusitala Marsh says while she would not do anything "remarkably" different, the award would allow her to take poetry to "some pretty impressive spaces". "I talk about 'unpoeted' spaces, where it doesn't usually have a space or is heard or made," she said. She was also given a carved tokotoko, or orator's stick, symbolising her authority and status. Tusitala Marsh said the post was a "wonderful opportunity to extend the poetic page and stage to this nation's multi-coloured, multi-hued voices. "To be recognised in this way is breath-taking. To occupy the role is breath-giving – I can't wait to take the Laureate's tokotoko to the people and make poetry." New Zealand's first poet Laureate was Bill Manhire in 1996 and the outgoing Laureate for 2015-17 is C.K Stead.